I do raw edge applique with machined blanket or satin stitch edges or tiny topstitching rows just inside the edges depending on the applique design. Thanks for the applique post! I use invisible thread with a straight stitch on my machine for raw edge applique, like a McKenna Ryan piece. Use clear thread for lighter pieces and dark gray for darker pieces. I switch to a thinner needle, maybe a 65 or 70, and reduce my tension. I have done needle turn applique, but I’m not great at it. I’m looking forward to learning some tips here. Thanks, Kelly! It depends on what fabric I am appliquing. If its wool, I would leave it raw edge and hand applique with blanket stitch. If I’m doing wallhanging, I would probably just use steam a seam around the edges and not applique since I won’t be washing it. (Just using a vacuum to remove dust with screen wire over wall hanging.) I would use hand applique on a quilt with my favorite freezer paper method. Freezer paper slick side up and tip of iron attaching edges of fabric cut outs. Fabric cut 1/8 larger than paper. Hand applique then remove paper by cutting out back of fabric. 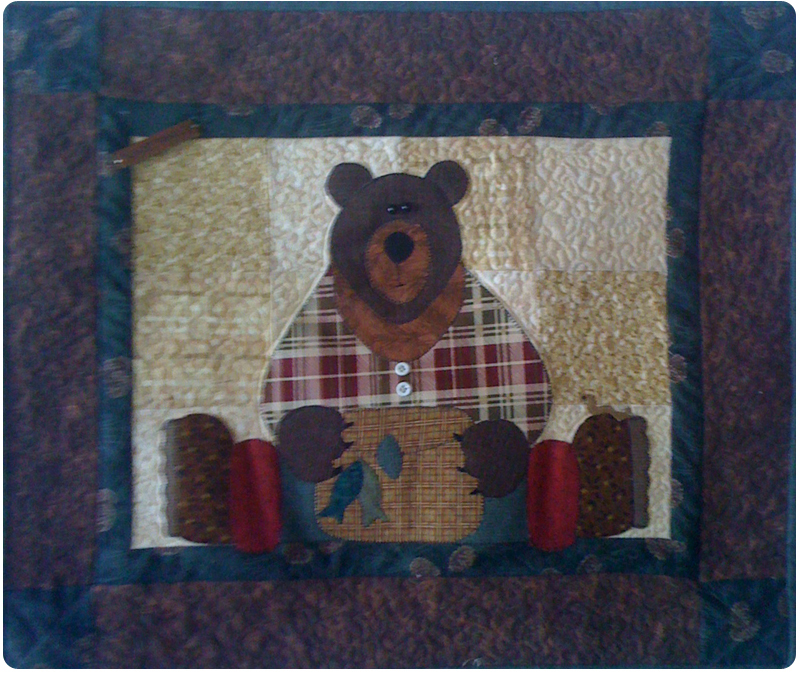 My 1st quilting project was doing Hawaiian applique needle turn. Since then, that has been my preferred method for applique. I do raw edge on “fun” projects, but still needle turn on anything important. I want to learn applique. Everyones projects are so cute.